• Focus: Night Photography, field and classroom. Please email us to sign up for the waiting list. We’re going back to Death Valley! 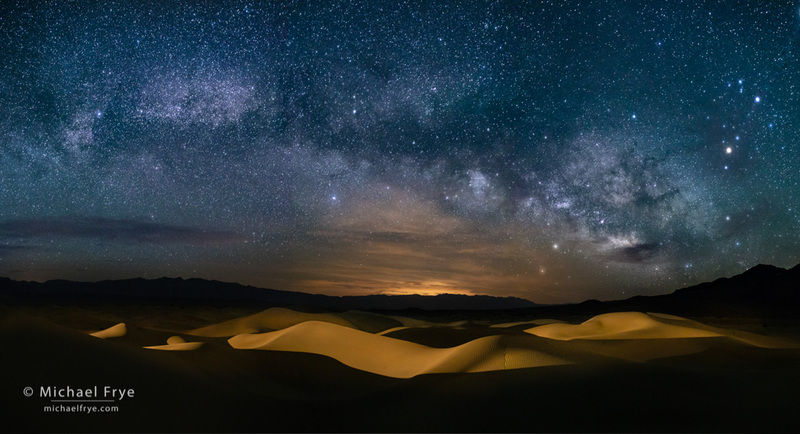 The sculpted sand dunes and eroded badlands of this national park are wonderful places for night photography, and perfect complements to a sky filled with the Milky Way, or swirling star trails. 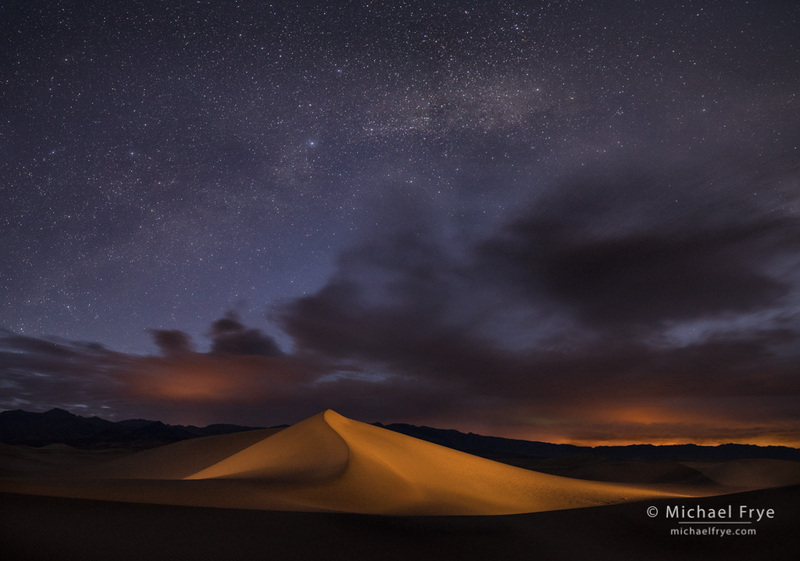 During this workshop you’ll learn light-painting techniques that will allow you to combine these landforms with the night sky to create striking images that capture the magic and mystery of the desert after dark. 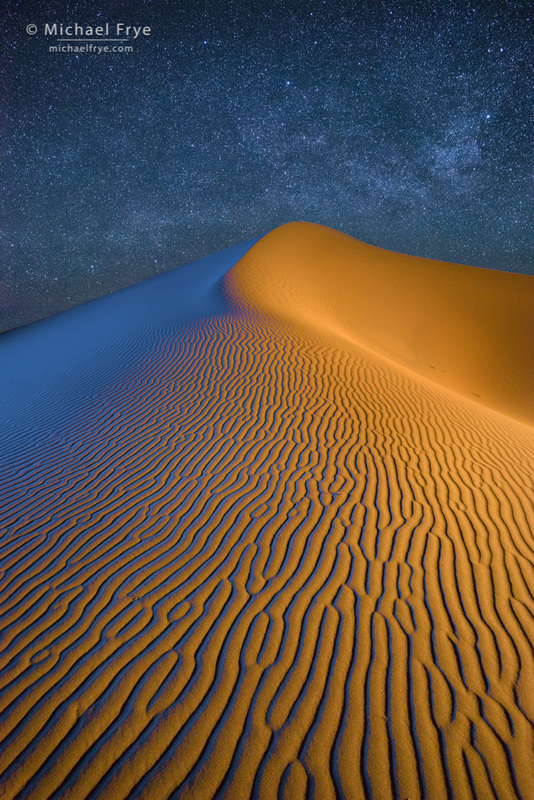 We’ll also cover, in detail, all of the techniques needed to photograph nighttime landscapes, including exposure, focusing in the dark, and image processing. The workshop is timed for just before the new moon, so we’ll have dark skies full of stars. 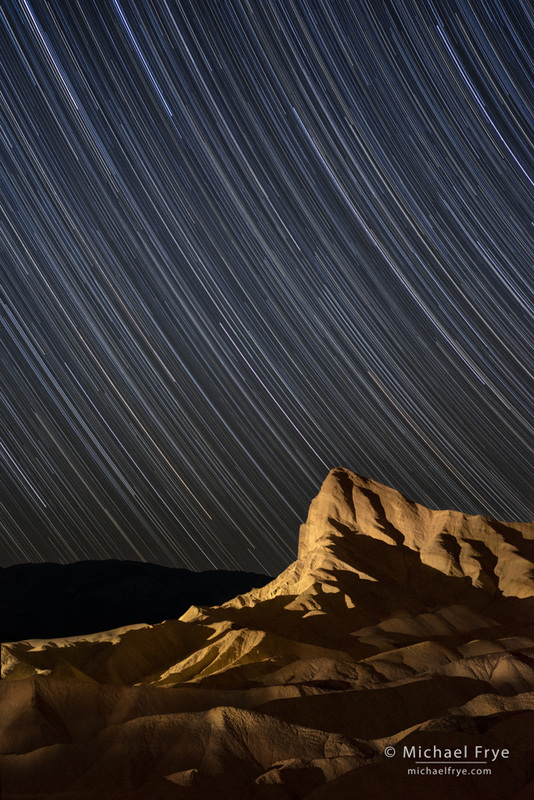 Death Valley was named an International Dark Sky Park, and there’s very little air traffic in this area, making it easier to capture star-trail photographs without jet trails. This promises to be a really fun workshop – I hope you’ll join us!